Vampire Beauties: Vampiress Review: "The Last Sect"
Vampiress Review: "The Last Sect"
The Gist: A magazine writer doing a story about a dating service ends up being coveted by the female vampires who run it. Clarification: A magazine writer named Sydney ends up doing a story about a dating service. The dating service ends up being a cover up for a group of female vampires who uses the men who sign up for the service to feed on which they broadcast on the internet as a type of snuff film. While this is happening a vampire hunter named Van Helsing played by the late David Carradine is on the hunt for the group. In fact this film has also been advertised by the title "Van Helsing 2". The plot of the film moves at a snails pace as the bulk of it is Carradine talking about hunting the vampires and repetitive dream sequences between the head vampire Anastasia and Syney the writer. Selling Point: PG-13 lesbian vampirism. Female Vampire Factor: As mentioned this is a movie about an entire Sect of female vampires so basically 90% of the females in the film. The only one who truly gets screen time is the head vampire Anastasia played by Deborah Odell. 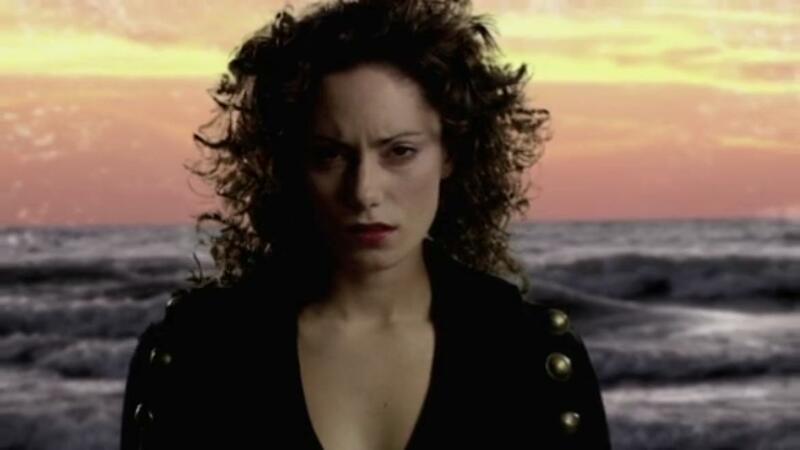 Her relationship with Sydney (Natalie Brown) really doesn't go very far other than dream sequences as the vampire hunters show up just in time or so it seems. By the films end it is hinted at that Sydney does get turned. The film looks way better in pictures than it is. I give it a Vampire Beauty Rating of 3 out of 5. It concentrates way too much on the vampire hunter sub plot which just makes the movie drag since literally nothing really happens during any of those scenes.